The interchangeable plates make this is two toys in one! This is an excellent beginner, stationary food puzzle. This toy offers two interchangeable plates to offer different challenge levels. 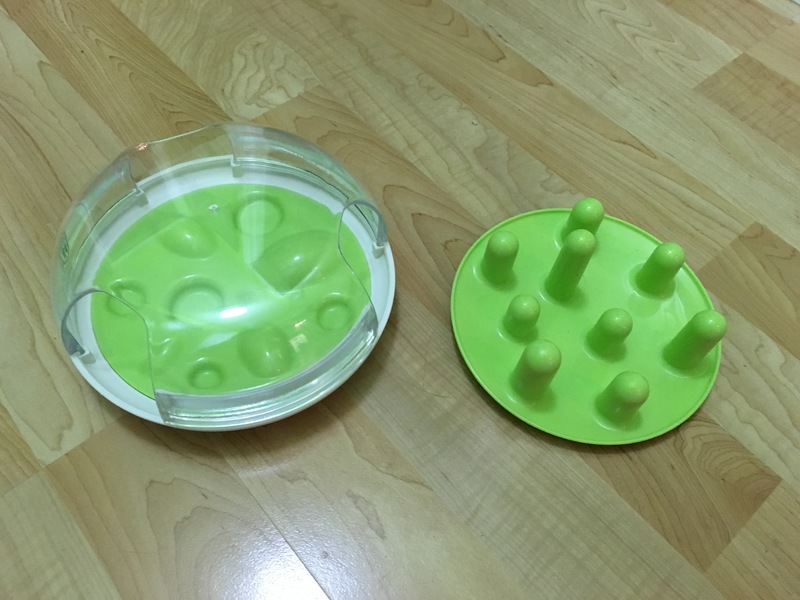 The more food you place inside the toy the easier it becomes so to increase the challenge put less volume in the toys and place it towards the center.